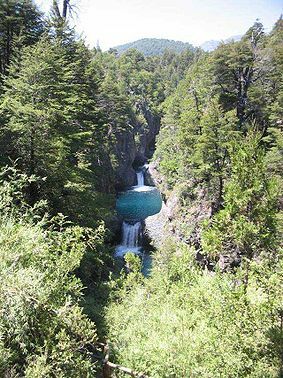 The National Reserve Radal Siete Tazas is located in the Maule region of central Chile. The reserve´s most popular feature is the area known as Siete Tazas (Seven Cups), which consists in 7 natural pools with their respective waterfalls, the two highest being El Velo De La Novia (The Brides Veil) and La Leona (The Lioness), with a single verticle drop of 40 and 20 metres respectively. After the earthquake the Siete Tazas have been drained out and no longer have water. The Conaf authoreties explained this phenomenon ocurred because a rock cracked open and the water drained and is now running as growndwater. The water comes up to the suface again at El Velo De La Novia. Join in and write your own page! It's easy to do. How? Simply click here to return to Chile Earthquake Facts.